AdvoCare Spark is a unique multi-nutrient system that was developed as a nutritional source of energy and enhanced mental focus. It's sugar free with more than 20 vitamins, minerals and nutrients that work synergistically to provide a healthy, balanced and effective source of energy that won't overburden or over stimulate your body. 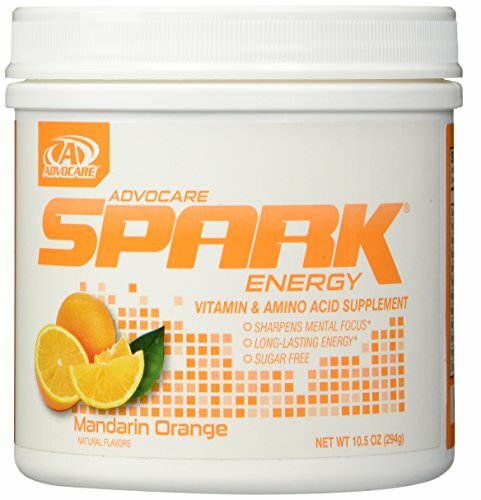 AdvoCare Spark contains an effective amount of caffeine to give you the quick boost you're looking for, B vitamins to enhance your body's natural ability to produce and sustain its own energy, and neuroactive amino acids that help increase your mental focus and alertness by supporting your brain's ability to receive and send messages.